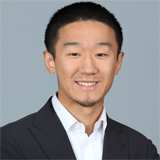 Miles Zhu is a business consultant with experience in supply chain operations. He is keen on solving business problems using statistical techniques, optimization methods and data visualization. At End-to-End, Miles has worked with clients in consumer electronics and high-tech industries. He has built statistical models to evaluate inventory policies and inform process improvements. He has also built constraints management models to improve operations planning and scheduling. Prior to End-to-End, he worked in manufacturing industry. His programming set of tools includes R, Python, SQL and VBA. He holds a M.S. in Operations Research and Information Engineering from Cornell University and a B.S. in Mechanical Engineering from Georgia Institute of Technology.